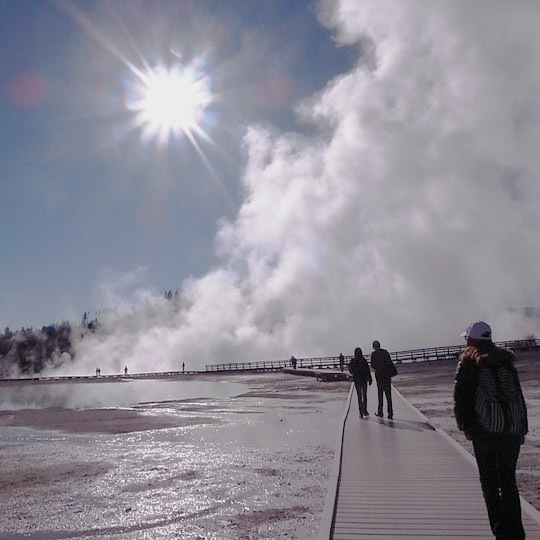 Tour of the Yellowstone N.P., featuring the famous Old Faithful Geyser, Mammoth Hot Springs, Yellowstone Canyon, Yellowstone Waterfalls, hot spring and geysers. The park is also a sanctuary for many wild animals and birds. Examine fossilized trees, and catch the glimmer of beautiful lakes in the secluded woods. continue to the Grand Teton National Park Over night at Ogden. Morning visit Air Museum. Then heading south to Salt Lake City, visit Mormon Temple and State Capital. Then transfer you to SLC airport (Please arrange return flight after 1:00p.m. from Salt Lake). ※ 4-Days’ passengers fly back home today,The tour guide will arrange a monorail orUBER to the airport. 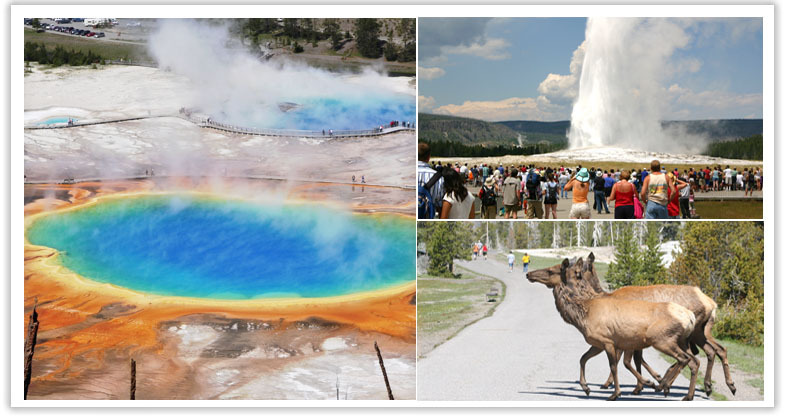 ※Great Salt Lake, Yellowstone, Grand Teton NP, Hill Air Force Base, Fuel surcharge: $70.